Tarshish Cody, PLC and attorney William Siegel proudly serve the Anoka County community. 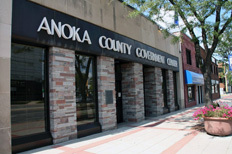 If you are looking for an Anoka County Attorney, you have come to the correct place. Having practiced in Anoka county for more than 20 years, attorney William Siegel is experienced in the Anoka County courtrooms and helped hundreds of clients navigate Anoka County's legal system. Fill out the Free Case Review Form on this page or contact William Siegel at 763.691.9455763.691.9455.